The strength of this film is its short length. At just 34 minutes, it can be shown in the space of a single school period. For the pre-teens this is intended for that might be just the right length, with the quick pace, and colorful animation sure to grab most students’ attention. But the biggest weakness of this short film is….its length. It is far too short to tell this story with the gravitas it needs – Luther’s spiritual wrestling is dealt with in just 7 minutes! It also ends abruptly, with Luther busy translating the Bible into German in Wartburg Castle. The narrator then spends just a single minute summing up the whole of the second half of Luther's life. And then the credits role. There are a just a couple cautions to consider, with the most striking involving a prophetic dream by Frederick the Elector, Martin Luther's long-time protector. After getting kidnapped (by friends, for his own safety's sake) Luther is told that the very night he nailed up his 95 Theses, Frederick had a dream about a monk writing on a church door with a quill that was so long it extended all the way to Rome "where it toppled the crown off of a lion." This is said to be the reason the Frederick was willing to defend his rebellious trouble-making monk: God had told him ahead of time that his monk was going to topple the pope. But, according to The problem? According to Thomas A. Fudge's biography Jan Hus, this story is found in many forms from 1591 on, but that is near 75 years after the events in question. So is this dream fact or fiction? The movie portrays it as unquestioned fact, but I think we have reason to wonder if this might just be a popular myth. And, at the film's conclusion there is a passing, two or three second shot of a title page illustration from one of Luther's books depicting Christ on the cross, with Luther and John Frederick I, Elector of Saxony kneeling below. 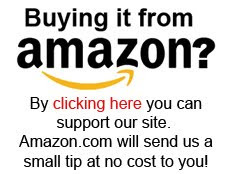 I make mention of it, for any who consider this a violation of the Second Commandment. This is a great film for children who don't yet have the attention span for a longer Luther film. It is well done, and will keep most children engaged. But for children with the attention span for it, and teenagers and up, the better film to watch is the Oscar-nominated, 105-minute, 1953, Martin Luther, which I review here. 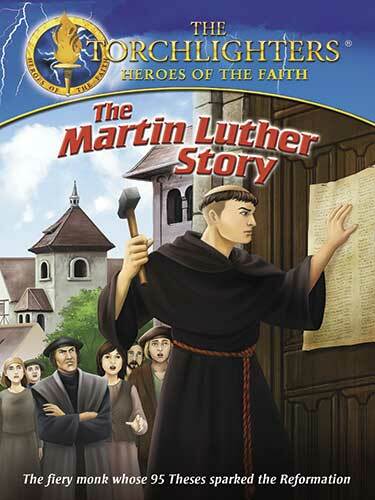 Americans can rent or buy the digital version of The Martin Luther Story here, and Canadians can buy it on DVD here. You can check out the trailer below.